I am pleased to announce that tickets are now available for the full production of Bound Feet Blues which will return to the Tristan Bates Theatre in the heart of the West End in Nov/ Dec this year. The showcase performance last year was sold out two months in advance. For the upcoming full production run, there are only 12 public performances so please do get your tickets soon to avoid missing out again. 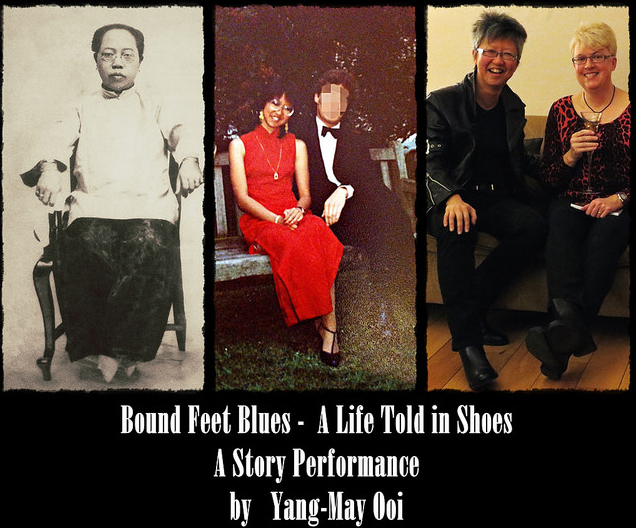 The theatre review online magazine The Public Reviews gave Bound Feet Blues a 4.5 star rating (out of 5 stars) and described the show as “powerful” and “beautifully performed and directed”. 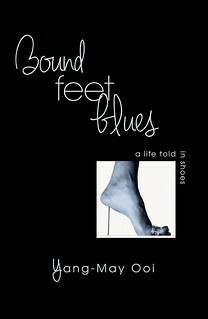 Read the review by Nichola Daunton: “Bound Feet Blues – A Life Told in Shoes – Tristan Bates Theatre” (14 Oct 2014).